This game lacks nothing for political intrigue. And even by its usual standards we're getting rather a lot of it right now. So it continued in Austin last weekend; indeed if anything it was therein more exasperating than we'd been getting used to in the days and weeks beforehand. As Mark Hughes noted for Motorsport, come the red light going out on Sunday it felt like 'a race broke out amid the arguing about the sport's future'. F1 indeed was oh-so nearly hit for six by a boycott (and well done to everyone who got that esoteric reference. Not that Geoffrey of that ilk hit too many sixes). 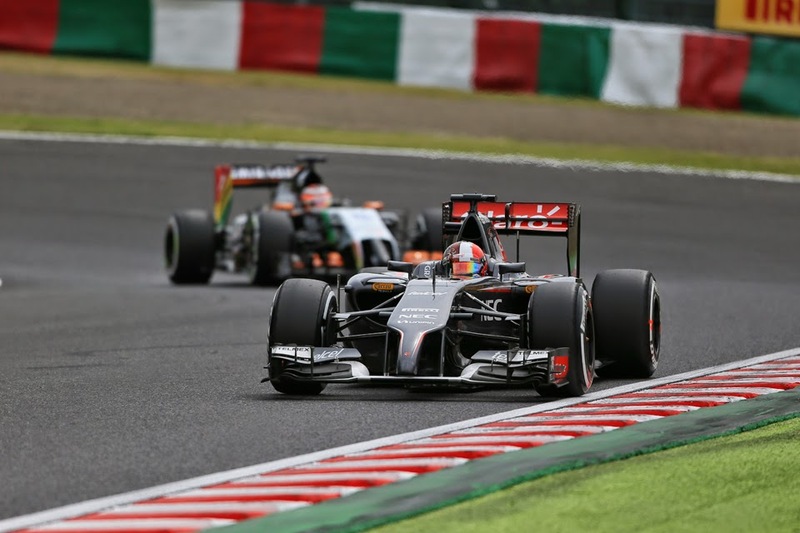 With two teams not reaching Texas at all due to financial maladies, rumours circulated that three more - Lotus, Force India and Sauber - feeling a similar pinch would sit out the race, perhaps by parking after a lap, in order to make their feelings known on the same matter. It was a rather odd affair, as the concept smouldered without anyone apparently wanting to admit to rubbing sticks together. Force India got closest to it though, with Bob Fernley confirming after qualifying that a no-show was 'on the table'. It didn't happen in the end, which was good; it averted apparently by an intervention from CVC co-chairman Donald MacKenzie, promising movement on the squads' remuneration. And as for the rights and wrongs of it, I certainly feel - and have said so repeatedly - that on the money issue itself those smaller teams have right on their side. I also can sympathise with their desperation that led them no doubt to consider such a move. But equally it would have been hard to support something that would have served mainly to penalise the paying punter. F1 as we're often reminded is a branch of show business. And the number one rule of show business is that the show must go on. Mario Andretti, the race's official ambassador, concurred on the last point at least, and didn't pull any punches in saying so: 'These ugly rumours about a potential boycott were so devastating in so many ways,' he said. 'These people don’t realise that in the end they're hurting themselves. Who are you punishing? You're punishing the fans, who pay to come and see you, you're punishing the sponsors, who support the sport and keep it alive. You are punishing the core of what makes a sport exist. 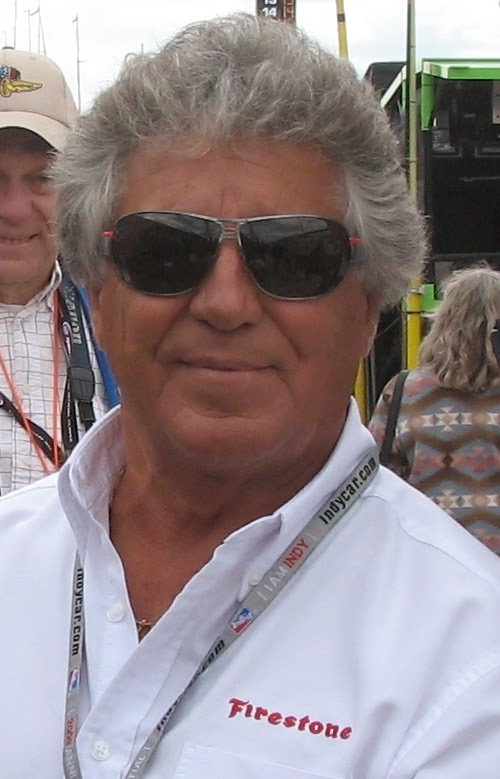 "Mario Andretti 2009 Indy 500 Pole Day"
by Manningmbd - Own work. The first thing to say is that I adore Mario Andretti. Also I fully understand his frustration. After all, few care more than he about growing F1 in America. He'll also be well aware of the hard work over months and years from scores of people that has gone into making the Austin event a success. To have that threatened at the 11th hour by a matter which was nothing to do with them would no doubt have been galling. Indeed had he left out the banning for life bit I'd have just about agreed with the general thrust of his words if not the tone (though he also mentioned Indianapolis in 2005 even though that wasn't actually a boycott, rather a withdrawal on safety grounds). Another point on which he erred a little was when he added that 'I would like these small teams, instead of crying, say they would like to be like McLaren or Ferrari'. Which while well-intentioned is a rather simplistic assessment given the various vices of F1's financial structure right now. But on the matter of banning sine die those who boycott races it seems he hadn't fully thought it through. Mainly in that by my estimation with this sanction there wouldn't be very many teams left. Boycotting races (never mind just thinking about it) is a fairly frequent feature in the sport's past. The first team that you could scratch is Ferrari, giving pulling out of Grands Prix in a sulk about something or other was an often-utilised tactic of the Commendatore Enzo Ferrari. On one of the more recent occasions of this there were no red cars present in the 1976 Austrian Grand Prix, as Enzo wasn't happy with James Hunt's Spanish Grand Prix win being reinstated after an inital disqualification. With this in addition to that Niki Lauda was still in hospital following his Nurburgring accident the crowd at that race was paltry. You can scratch Williams and McLaren too, given they sat out the infamous 1982 San Marino Grand Prix. Which, combined with the three teams associated with last weekend's mooted boycott, would have given you a grand total of six cars in Austin (those of Mercedes, Red Bull and Toro Rosso). As for who led that notorious boycott at Imola? 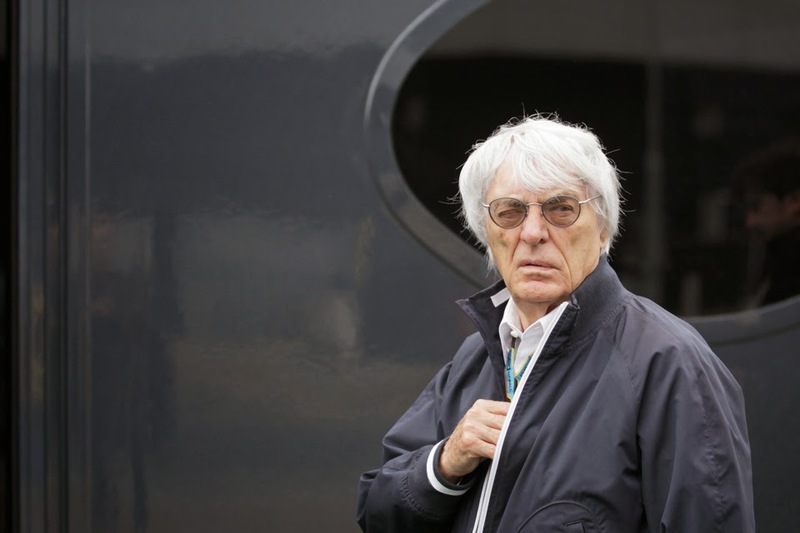 Why, one Bernie Ecclestone! The same Bernie Ecclestone who muttered with conspicuous menace last Sunday that the teams that were linked with a boycott 'are lucky they didn't'. No doubt it was different to when Bernie himself boycotted a race because reasons. Indeed we shouldn't be too surprised by Bernie's ability to simultaneously ride several horses galloping in different directions, given that a mere matter of weeks before he found his own inner Wolfie Smith in Imola he and his fellow constructors were put into a state of apoplexy by their drivers threatening a strike of their own, in the season-opener in South Africa. Indeed then in response Bernie was in maximum conflict mode, declaring his Brabham drivers fired for breach of contract and the like. As it was the same Messrs Piquet and Patrese as before completed both the subsequent race and season (and the next one) in the employ of Bernard Charles. It didn't stop there. With echoes of Andretti some 32 years later not only did the circuit's MD Bobby Hartslief declare during the stand-off that none of the drivers would be eligible for the World Championship ever again, but after a settlement which allowed the race to happen during the Grand Prix itself the stewards issued a statement declaring all drivers that threatened to strike as 'suspended indefinitely'! Perhaps it's that more than anything else that maintains my appetite for this sport, even through weekends such as the last one that tests it. That it has an uncanny ability to forever produce delicious ironies.